Last year I wrote about my discernment on whether or not to conceal carry. Here is the post if you are interested: Babies, Guns and Jesus. After the experience mentioned in that post I did a lot of thinking, praying and discussing with my wife. I spoke to lots of people about this subject. Some were experts in weapons training, police officers, military, priests, friends, neighbors, etc. My wife and I made our decision and I spent quite a bit of time training, learning and familiarizing myself with the safety and use of firearms. I still have a long way to go. On average I train every month or two with live fire and do dry fire drills at least 3 times a week. I know that many people do not feel the same way about guns and that’s fine. This post is really not about guns. Most of the guys I do weapons training with are very much convinced that they are doing this for the safety and welfare of their families. I wholeheartedly believe that. One guy got teary eyed as he shared how much he loved his family and how he wanted to be ready for anything that could potentially harm them. So do I.
I try really hard to listen, read, and follow the guidance of men and woman who are wiser and holier than I am. I especially try and study how to be a better man, husband and father. I find it so easy to want to be selfish and focus on my own desires and ignore my family—individualism is all about that. I have to constantly check myself and refocus. There is a certain discipline, training if you will, that I have to take on for this. A few weeks ago I bumped into this video that really spoke to me about the importance of men training to defend their families. The video was not about weapons or hand-to-hand combat. The video was about prayer. Prayer is the ultimate training that all men must take on. St. Padre Pio once said, “Prayer is the best weapon we posses.” Prayer isn’t something a weak man does. Prayer is something that a man who understands his place in the world does; a man who knows his limits, capacity, and potential; a man who recognizes that ultimately God is the one we need to turn to for our families protection and for them to become what they are meant to be. Get up earlier than your family does and pray for God to guide their path towards holiness for that specific day. Pray with your spouse that God may lead both of you to be holy and help each other to grow towards that holiness. Pray with your spouse for your children to be godly men and women. Pray with your children and spouse before and after meals. Have each member of your family go around the table during meals and share how they saw God work in their lives that day. Take time to pray alone. This is absolutely crucial. You can’t lead your family to pray if you don’t know how to do it. There are tons of devotionals, apps, scriptural guides, etc. that can be used to do this. (Again for Catholics and Orthodox folks) Take your family to adoration once a month. Have them sit before Jesus for 15-30 minutes (it will depend on how old your kids are, etc). Read books that will inspire you to grow in holiness. Surround yourself with other men who are training to grow in holiness. I really enjoy shooting my guns at targets and training for scenarios, but lets be honest; there is a small chance that I will ever need to draw my weapon on anyone (thank God for that). However, if I am ever in that situation I’ve done all I can to be ready. I am more likely though to be tempted sexually, to be greedy, selfish, to be dishonest: insert your potential situation here. Praying for God to transform you and to guide you when those situations come (they will come) is important training. How will you respond to those situations if you have not prepared yourself? Praying for and with our families is absolutely necessary. This world is filled with situations that if we are not actively “training” for we will get eaten alive. I pray every single day. Sometimes it’s short and rushed due to my daughter or other things outside of my control. More often than not I spend quality time in prayer. I need it. I cannot become whom God intends me to be if I am not communicating with Him. Communicate with Him. Encounter Him. I want to protect my family and myself. I want to be ready for whatever this world is going to throw at us. I am whole heartedly convinced that there is no better training for a man than to seek the face of God in prayer and to ask the most important question we could ever inquire of Him: God, what do you ask of me? 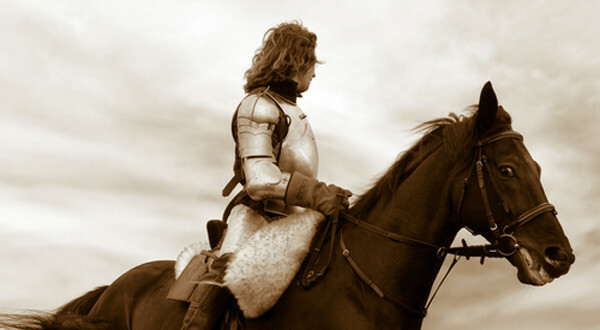 Why Prince Charming is a lie, but real men aren’t! I am sharing this post from an article I recently read on the website: The Chastity Project. It is written by a young woman named Esther Rich. I think she touches on something very true that sometimes men (at least this man) we feel like we are not the “Prince Charming” that we are supposed to be. Esther’s word are worth sharing. Enjoy. I LOVE the song ‘Lead Me’ by Sanctus Real, but I can’t listen to it without getting emotional. My friend and I cried to each other over the phone when we first heard it. Because it hits a sore spot. It hits that wound in all of our hearts that bleeds the phrase “how come there are no real men anymore? !” Most of us have heard it asked. Nearly as many of us have asked it ourselves. But the reason we don’t see them isn’t that they don’t exist, it’s that we tell them they can’t. God created us for union and communion with each other. His unmatchable creativity is such that he designed us to fit together. Our lives are the most fruitful and we feel the most fulfilled when we’re exercising that complementarity. We need men in our lives—not just husbands, but fathers, brothers, friends—and they need us. We unlock an extra level of potential in each other. Sometimes as women we put far too much pressure on men to become the ideal we think we need. We’re often guilty of underestimating just how difficult a job they have! Supporting us and leading us takes an immense amount of strength. But that strength comes from God alone, and must be continually renewed through prayer and abandonment to Him. Disney has taught us to expect perfection and settle for nothing less. But Prince Charming is a lie. No wonder the divorce rate is rising so rapidly: we’re in for a serious shock if we marry with the false belief that the men who swept us off our feet and carried us to the altar in their strong arms will retain that guise of perfection for long. No man is flawless (neither are we! ), and expecting them to solve all our problems will only end in more heartache. Christ called us to love one another as He loves us. That means that the most fruitful relationships will be built on grace and mercy rather than pressure and judgement. We’re called to love each other including our flaws, because without that merciful love no relationship can survive. 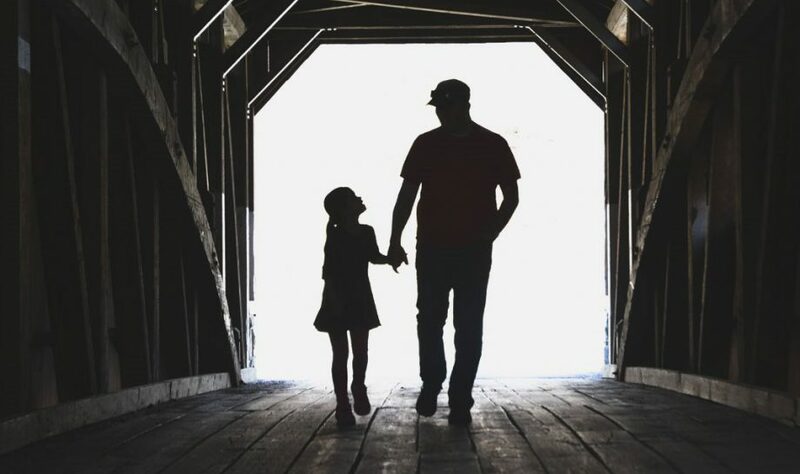 Disney’s version of “Mr Right” may be far-fetched and idealistic, but deep down we do have a natural longing to be supported and guided by a strong man—spiritually, physically and emotionally… and that’s no coincidence! What we long for is actually the root of what men were intended to be, we just don’t realise it. We want them to be strong and gentle and decisive and loving all at the same time… and they can be! But to benefit from that, we have to allow them to develop those strengths. To have a “real man,” we have to allow him to be a real man. Culture insists on mourning the loss of ‘real men’, but perhaps it’s simply the definition used that needs challenging. A real man isn’t one who works out twice a day, earns a six figure salary and buys extravagant presents with money he won’t miss. A “real man” is one who will lead you with strong hands even when that means humbly admitting his mistakes. One who will discerningly make sacrifices for the greater good of your family. One who seeks guidance from his heavenly Father instead of relying on his own strength. One who’d rather walk you to Heaven than drive you around in his Porsche. One who looks at your heart before your physique. One who prays for you, not just pays for you. One who strives to protect your purity not conquer it. One who loves you as Christ loves His Church. … and these REAL MEN EXIST! We have a serious problem with manhood in our society. I recently gave a talk to 8th grade boys on this topic and when I asked them to raise their hand and tell me if they understood what it meant to be a man, most of them didn’t. When I asked them to raise their hand if they have 1-2 adult men in their lives that they think would be considered good examples of men, most of them again kept their hands down. What’s the deal with this? Why is it that we know how to do manly things like chopping wood, fixing cars and homes, shooting guns, etc. but we don’t know what it means to be a man? Obviously, those things listed above are not enough to make someone a man. So, why is it that a wood chopping, car fixing, gun shooting male can look the part of manhood and yet not be one? I know plenty of men who outwardly do manly things but are really boys playing the part. I also know men who do none of the traditional manly-type activities and yet are the shining example of what being a man is. How we live, how we fight and how we die. Video games like Skyrim, Modern Warfare and Assassins Creed are really popular. Most guys that play these games do so because these stories speak to the very heart of a man. The desire for purpose, battle and sacrifice are essential to a man. We are wired for that stuff and the video game industry knows it and spends a pretty penny on researching it so that we get hooked on their games. Take the game Skyrim for instance. The game is about a guy who is in the wrong place at the wrong time and is about to be killed. Nobody knows who he is or cares. 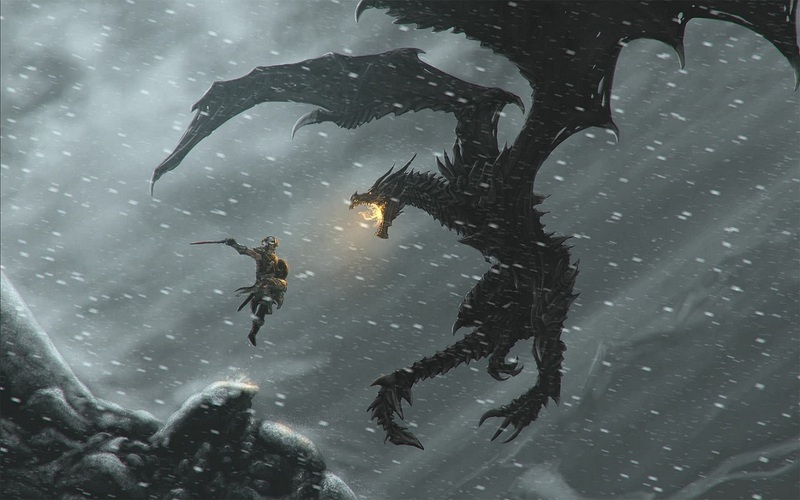 You end up escaping and find yourself battling a dragon that, after you defeat it, reveals your incredible power. You are the chosen one. No longer a nobody. You have gifts and talents, but more importantly, a mission and a reason to live. From there, your character goes on a journey, a battle where you are fighting to save the world of Skyrim. This battle requires incredible strength, mastery of skills and courage. It may even cost you your life. There is another dragon you must battle and it is no ordinary dragon. He is the “world eater”. He is the one that you have been chosen to fight against and it’s very possible you may die in the process. Men are hardwired for this type of adventure and even though you and I may not find ourselves picking up an axe and shield to go fight a dragon, we are meant to do battle. It is something that we are made for and I would even say that the man who doesn’t do this is finding himself empty and questioning his place in the world. What do you live for? What are you fighting for? What are you willing to die for? These are three questions at the heart of what it means to be a man. These are three questions that every man must ask himself and answer. If we have nothing to live for, we have nothing to fight or die for. And if we have nothing to die for, we may find that our lives are not worth fighting for. As husband and father I recognize that I live to serve God by serving my family. I recognize that the battle I am fighting is primarily against myself—my selfishness (the dragon within). Overcoming myself so that I can serve my family is key to this process. I cannot die (sacrifice, surrender, etc.) for my family if I am not willing to fight, and give all of myself for them. As in the game of Skyrim, I must master the skills needed for this battle. I must master patience, fortitude, temperance, sacrifice, selflessness, and willingness to serve and not expect to be served in return. My wife is studying to get her masters degree and so it requires a huge amount of time and energy. My job is to make sure that she has the time and energy to work on her studies. I live for her, and my fight is to make sure the house is clean, laundry is done, dinner is ready and our daughter is being taken care of. I don’t necessarily want to do all these things, but I live for my family and I will do whatever it takes for them—even doing most of the chores around the house. It requires a sort of death to self to win this battle, because the dragon within wants to be selfish and inconsiderate and egotistical. I think that the more men ponder and search the answer to these three questions the more they will find themselves in the path of manhood. The more our children, friends and family see us striving to answer these three questions, the more they will recognize what a man looks like. Our boys and girls need to see this more than ever because what movies, TV and the media reveal about manhood is pathetic, watered down—cheap at best. So, pick up your battle-ax men. You are the chosen one. You have been given a mission to live out. You have a family to defend. There is a fight before you and it will cost you everything. But it will be the greatest battle of your life. Live well, fight well and die well.